Do you want a comfortable pair of wet weather boots? Maybe you’re looking for some boots for trudging around in the snow that will keep your feet toasty warm and dry. L.L. 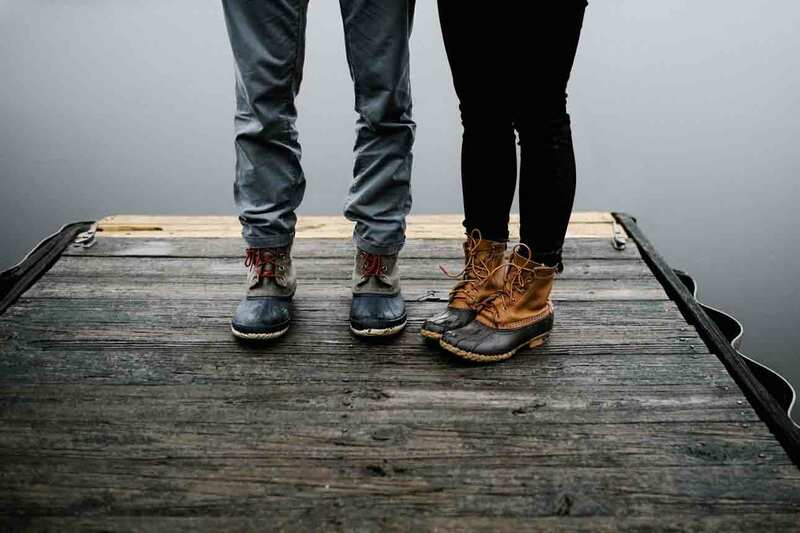 Bean boots could fit the bill, read on to get the perfect ones with our L.L. Bean boots sizing guide. L.L. Bean has been making boots for over a hundred years. Based in Brunswick, Maine, USA, each pair of boots, apart from the rubber base, is crafted by hand. In recent years, these duck boots have found their niche in an ever growing market of “cool” footwear. You might often find that these boots, which take 85 minutes to make for each pair, are on back order. 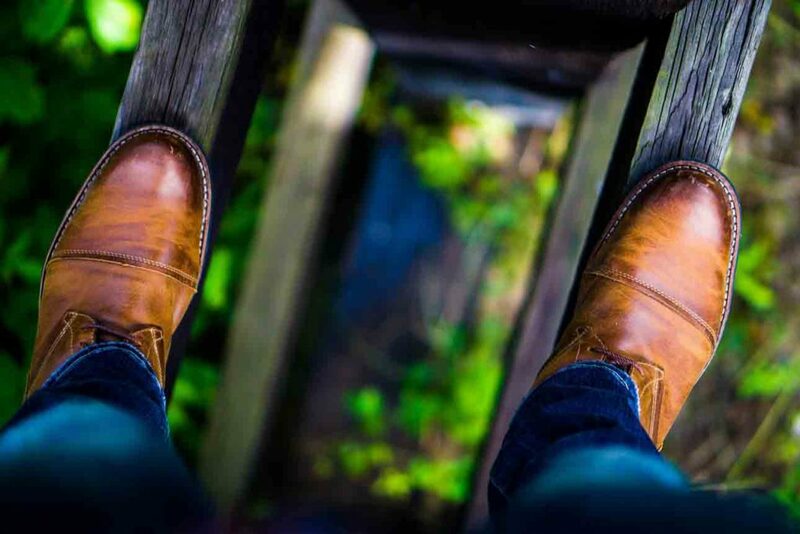 Let’s look at how these boots fit and what you should look for when selecting a pair. With L.L. 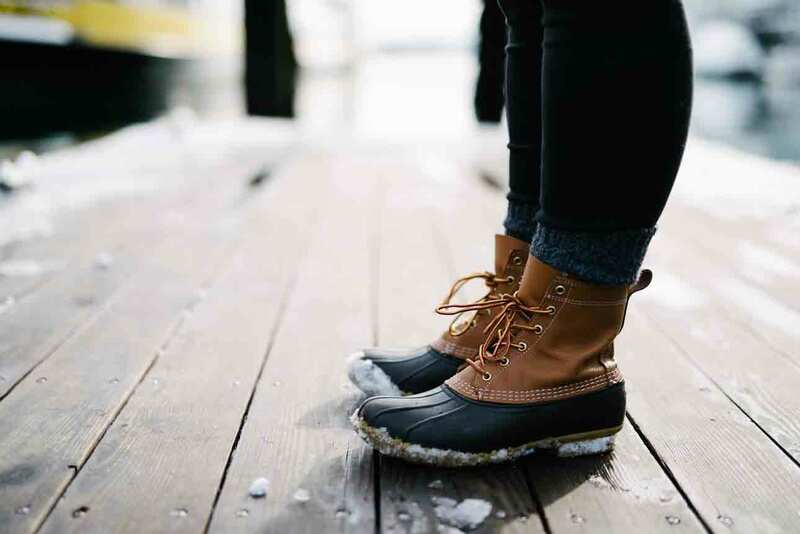 Bean boots available for adults and children, the whole family can get kitted out with waterproof, warm footwear for inclement weather. Men’s sizes run from a size 4 right up to a size 20. You can see the Bean boots sizing chart for men here. The men’s boots also offer a choice of three width fittings: narrow, medium, and wide. For women, the sizes start at a size 4 through to a size 13. The women’s sizing chart can be found here. Ladies boots come in a medium width fitting only. Children’s Bean boots start at a size 10 and run through to a size 8. There are no half sizes and the size chart can be viewed here. While no actual length is supplied for adult boots, there are measurements in centimeters for children. The company recommends you trace around your child’s feet while they are either barefoot or wearing socks. Measure between the longest part of their foot from the toe to the heel to find the right boot size. How Do L.L. Bean Boots Fit? Here is where it can get a bit confusing. The company advises that you allow for insulation from socks when choosing your size. If you plan on wearing midweight or light socks and your foot is normally a whole size, then order one size down. If it’s a half size you usually wear, then order a size and a half down. So if you usually wear a size 7 or 7.5, you would order a size 6. Now we come to their advice for heavyweight, thicker socks. If your foot is a whole size, then order your usual size. However, if your foot is in the half size range, order the next size down. So if you usually wear a size 7 or 7.5, order a size 7. If ordering a whole size and a half down seems like too much, even with thin socks, try them on first. You might find you only need a half size down. When fitting wet weather or snow boots like L.L. Bean footwear, you should follow different rules than fitting hiking boots or work boots. The rubber shoe part allows more room for warm socks and air to be trapped, which ultimately keep your feet cozy. Wearing boots which are too small and tight can mean colder feet, even with thick socks. Whether the boots have an inner lining or not, wear the socks you generally intend to wear with your Bean boots when trying on. 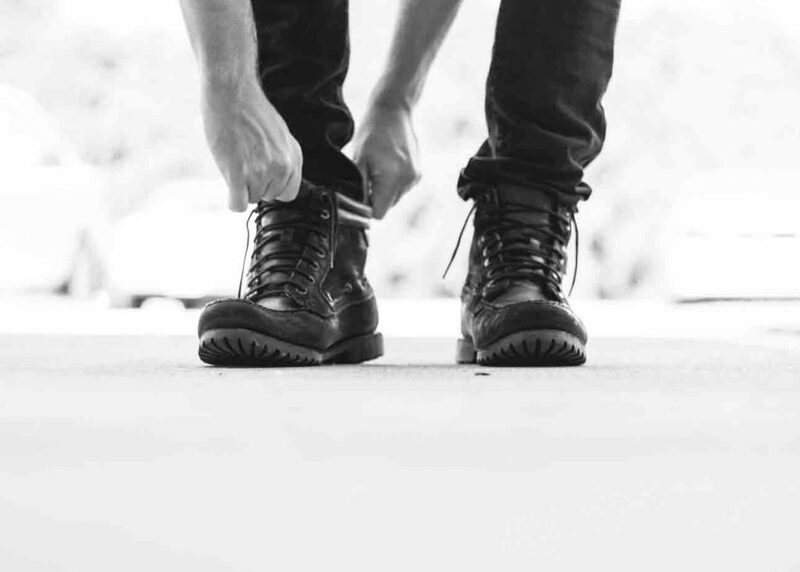 Put the boots on, and before tightening the laces, push your foot forward in the boot (you can do this by standing up and placing your toes on the ground behind you). Check out the space between your heel and the back of the boot. A finger should be able to fit between the two with ease—if you can’t get a finger in, then the boots are too small, if there is room for more than one finger, then the boots are too big. Next, check whether there is wiggle room around your toes. 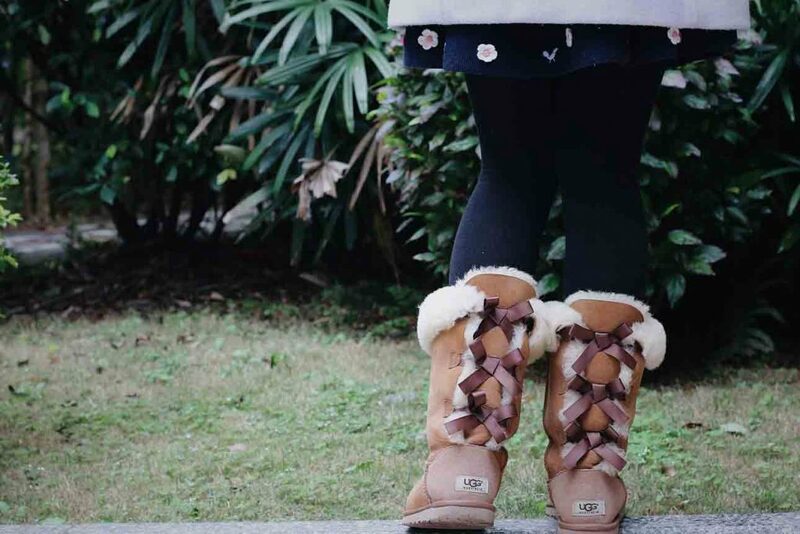 Lace the boots up, then stand and see if your toes move easily. They shouldn’t feel compressed or squashed at all and should move freely. Another way of checking the toe fit is to tap your toes in the boot on the floor behind you. They should not move forward in the boot and touch the front. The boot is too big if they do. Check out how the boots feel across your instep and around the ball of your foot. The widest point of your foot is the ball, you don’t want pressure here, which can cause pain and blisters. Likewise, the instep should not feel too tight. Also, check for heel slip. Rock back and forth from your heels to the balls of your feet, or go for a walk about the store. Your heel should stay in place, not lifting more than a fraction. If you choose a higher style of L.L. Bean boots, make sure they fit comfortably around the calf area. This is the case especially if you plan on tucking pants or jeans inside them. You need enough room to accommodate them. If you are fitting a Chelsea style L.L. Bean boot, then make sure there is a little pressure when you push your foot through the heel. Your heel should only have minimum slippage when you walk. Also, ensure that the elastic sides at the ankle are snug. Do L.L. 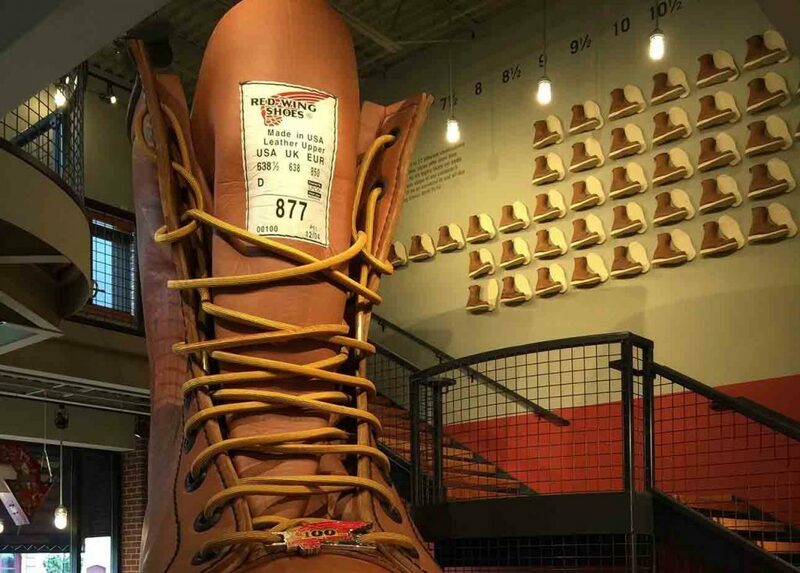 Bean Boots Run Big or Small? These boots appear to run a whole size large across the men’s and women’s ranges. They also only come in whole sizes, so consider what socks you will be wearing and follow the manufacturer’s recommendations we covered above. How to Lace L.L. Bean Boots, Are They Normal Laces? L.L. Bean boots have normal laces and eyelets for them to fit through. How you lace them is a matter of personal preference. You could use a normal crossover lacing, ladder lacing, or go for a fancier style. This interesting website, Ian’s shoelace site, shows you many ways you can lace your boots. What Height Bean Boots Should I Get? These duck boots come in many different height options. You could choose from gum shoes, which stop at the ankle, or from heights including 6 inches, 7 inches, 8 inches, 10 inches, and 16 inches. For the city and drier weather, a shorter boot might be fine, but for winter and wetter times of the year, a longer option would be more practical. These boots are handmade in the USA and are a good option for keeping your feet dry and warm in wet or snowy weather. With styles and sizes available for the whole family, you are sure to find a pair which are a good fit. This video shows you how L.L. Bean boots are made. Just remember, these boots tend to run a whole size large so try them on and use our fitting tips to ensure you get a pair which will be comfortable. Also, make sure you order early, as each pair is made by hand. That way, you’ll have them in time for colder weather. We hope you enjoyed our L.L. 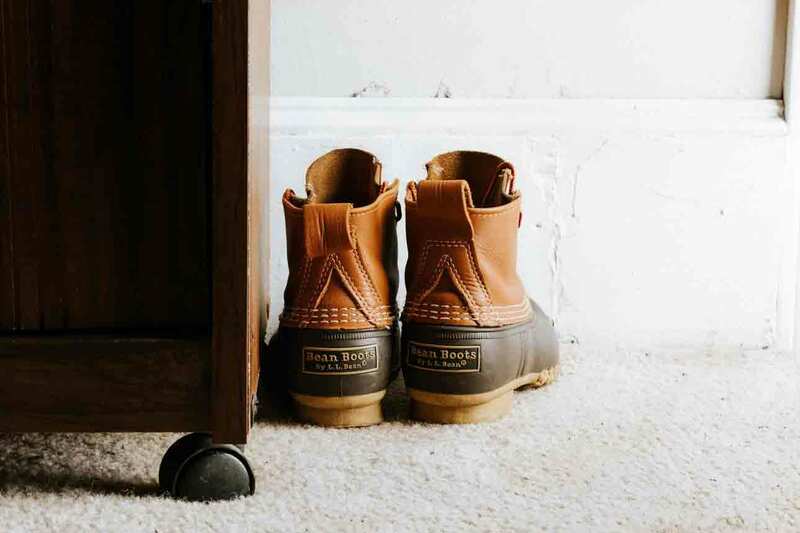 Bean boots sizing guide and picked up some useful tips. Please leave us your comments, we would love to hear from you. Do you know anyone else interested in L.L. Bean boots? If so please share.